Miracles in Motion Run, Walk or Roll – March 2, 2019 | NC Race Timing and Running Events | Go Time! The Miracles in Motion Run, Walk, or Roll is the original universally accessible 5K and 1-Mile Race in the Cape Fear Region for all participants, with and without disabilities, to experience a race day filled with joy, celebration, and inclusion! 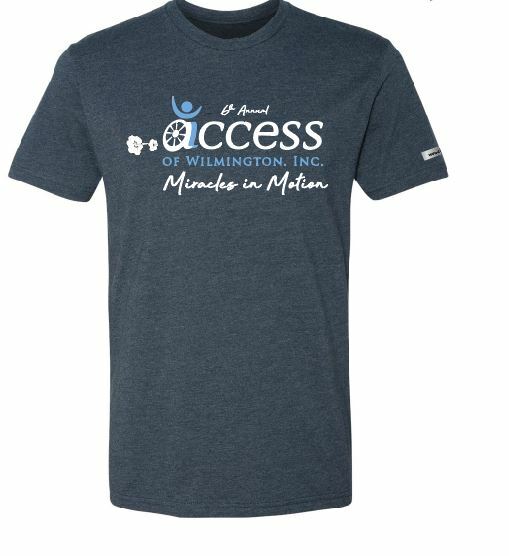 Proceeds from the 6th Annual Miracles in Motion Run, Walk, or Roll will benefit ACCESS of Wilmington operators of The Miracle League of Wilmington, Project SOAR, and ACCESS Fit. NEW THIS YEAR: Don’t forget to stay and join us this year for the Miracle League of Wilmington’s Opening Day Baseball Games beginning at 10 AM to see the joy, dancing, and home runs you make possible! You can learn more about ACCESS of Wilmington’s ACCESS Fit and Project SOAR programs too! Your participation in the 6th Annual Miracles in Motion Run, Walk, or Roll will give the gift of adapted sports, recreation, and fitness to hundreds of children, adults, and veterans living with disabilities in our community through ACCESS of Wilmington’s programs. • Project SOAR: A sport program offering archery, cycling, golf, kayaking, SCUBA, and surfing for veterans and active duty servicemen and women living with service-connected illness or injury. Race Shirts will be guaranteed to participants who register by 11:59 PM on Saturday, February 2nd, 2019. The shirts are available in Youth S-M and Adult Unisex XS-XXL cut sizes, and are from Without Limits. The course will start at the 33,000 square foot, fully accessible Miracle Field and loop through the North Chase community. The course is flat and completely paved. At the finish line you will be able to celebrate with our Miracle League All Stars and then cheer them on during their Opening Day Game! Parking is at the entrance to Olsen Park or in the paved lots to the right at the fork when entering. Please leave the paved and grassy lots closest to Miracle Field open for our All Stars and their families that will be joining us for Opening Day at 10 AM!